One of my favorite things about traveling alone is that I get the car to myself which really means: I get the iPod all to myself. I put that baby on shuffle and rock out. I have a wide range of music styles on my ipod, so sometimes I will be rapping along with Jay Z, other times I will be belting it out with Celine. For some reason I can only hit Celine's high notes when I am in the car by myself. I haven't figured out why that happens. Anyways, the other night I was driving home from visiting with the fam and I had about an hour and a half trip in front of me, so I put on the music and got to singing. Which then led me to think about how one of my youth leaders once told me that he thought I would marry a worship leader. This had less to do with prophecy and more to do with the fact that I had an insane infatuation for boys that sang and played the guitar. In fact at one point I thought I was going to marry my high school worship leader. And if I ever spoke a word to him I might have had a chance. But instead I just took pictures of him when he was leading worship. Well years passed and I did marry a worship leader. And I must say he is much more handsome than the one I had a crush on many moons ago. And I have caught high school girls sneaking pictures of him, which just makes me smile and think about the Circle of Life. Not the Cirlce of Life, on The Lion King, but the one that involves having crushes on guys that you never had a chance with and it coming full circle. In all of those thoughts I started thinking about how I need new music on my iPod because "I Wear my Sunglasses at Night" just isn't cutting it anymore. Then I started dreaming about ALL of the Cd's that Iwould love to own right now. I didn't find a picture, but I didn't look very hard. What are you listening to right now? What is your favorite CD that you have on repeat?? I want to know!!! As you can see I like all genres! 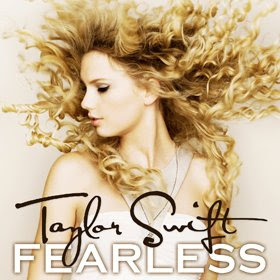 I LOVE Taylor's Fearless album. When I first got it I didn't like it as much as her first, but after a couple of days of listening to it I totally changed my mind. It's great!! Super catchy and upbeat. I also would love to get David Cook's CD. I think that'll be my next purchase! If you get it let me know what you think! 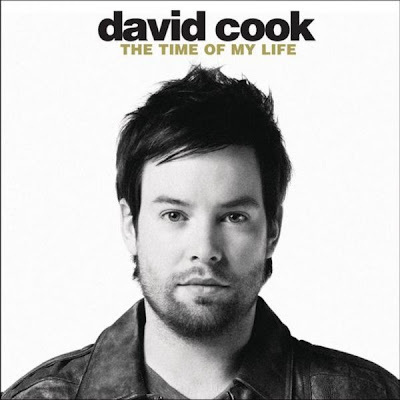 My son is digging the David Cook CD, has it on his ipod. Personally I am really liking John Waller right now and Tenth Avenue North. I heart them. I just listened to Taylor Swift's new CD for the first time a couple of days ago and it is awesome. I've listened to "Fearless" and "Love Story" a million times. Right now I am into a worship mix of different people like Hillsong, Israel Houghton, etc. It's all I've been listening to the past couple of weeks! 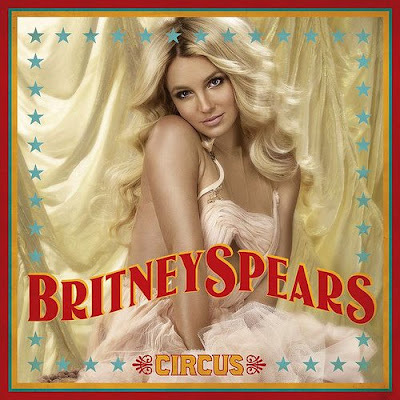 Britney: I mean, shes not a great singer but her songs are just amazing. Good beat and you just want to dance and listen to it over and over. Beyonce: LOVE her. Girl can sing. And that new song, Halo, soo good! Not sure about the next two, sorry. And David's new CD is really good. A lot of catchy tunes with that alternative/rock thing going on. haha - i am listening to Love Story by Taylor Swift right now!! I have that CD and the David Cook album! Have you heard of the single Dream Big by David Cook? thats one of his BEST songs! I love the David Crowder Band...and also Carrie Underwood's latest CD (Which isn't that new anymore). BTW- You made me LAUGH OUT LOUD with the "Circle of Life!" Hilarious! We are kindred spirits. I'm listening Taylor Swift, over and over and over and over... you get the drift. The kids LOVE her. I do to, but if i even try to put something else on it's like a mutiny in the car. Seeing her at the rodeo in a week. Woo hoo!! Hey Heather! i love the David Crowder band 2! Carrie Underwoods song, All-American girl is also one of my favorites! Well, here's the deal. I know everyone's name but sometimes putting a name that I know exist for someone in that family with the right face (primarily the cousins) is very difficult! I have the Zac Brown Band on repeat in my car right now...I'm not sure why?! I'm loving Taylor Swift right now, and also thinking that I should invest in Miranda Lambert's "Crazy Ex-Girlfriend" CD. And also? Love Casting Crowns. 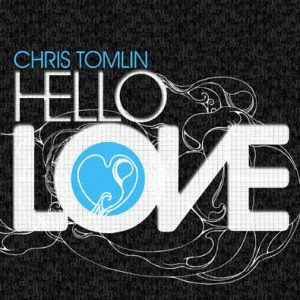 I am loving the Chris Tomlin new cd and I like Michael W Smith's new cd as well. How cute was your "prophesy"... that the little girls that look at your husband will grow up & find a handsome worship minister someday too!!! The David Cook cd is awesome. I highly recommend it! I love so many different types of music. I really want Jason Mraz's new CD and Gavin DeGraw's latest - those are probably some of my favorite artist. I can always listen to some Switchfoot and Relient K - that are also on my favorites list. In fact, I am still listening to the Relient K Christmas CD because it is awesome! I also love Frank Sinatra and anything reminiscent of that period. Therefore, Michale Buble and Peter Cincotti are some of my other favorites. I also love 80's and 90's pop music (Ace of Base if a favorite), and I will always love Britney. I told you I liked anything! Loving Taylor Swift and my new obsession is Zac Brown Band. okay, don't hate me but I am not a huge music person. I have to have it on in the car, but I never seek out artists or know who is singing on the radio. I just got an ipod for my birthday a couple of months ago. And the only songs I have on it are songs from Ty's itunes. I did make him put one of my Frank Sinatra CD's on there. I really need to go on Itunes and buy some music. My playlist is pretty sad! Oh and I listen to 96.5 on the radio in t-town. My friends just laugh at me! My students have a professor this semester that will give 10 bonus points on his final in calculus if they can guess the names of 10 artists in his iPod. how cool is that? taylor swift is on repeat in my car right now! I cried listening to her this morning! She sings this song about her and her dad.. called the best day! I LOVE IT:) actually the whole cd is amazing.. the beyonce cd is amazing too:) love this post! I'll tell you what, I just love that Hello Love CD! It's amazing. So by the way, I just found your blog and love it! :-) I'm looking forward to reading more and getting to know you better! Thank you for leaving a comment. I try my best to respond to all comments but don't always succeed. I do love reading each and every comment though!